The time and route for the Pride parade has now changed! Please refer back to the previous post to get the latest information as I have now updated it. 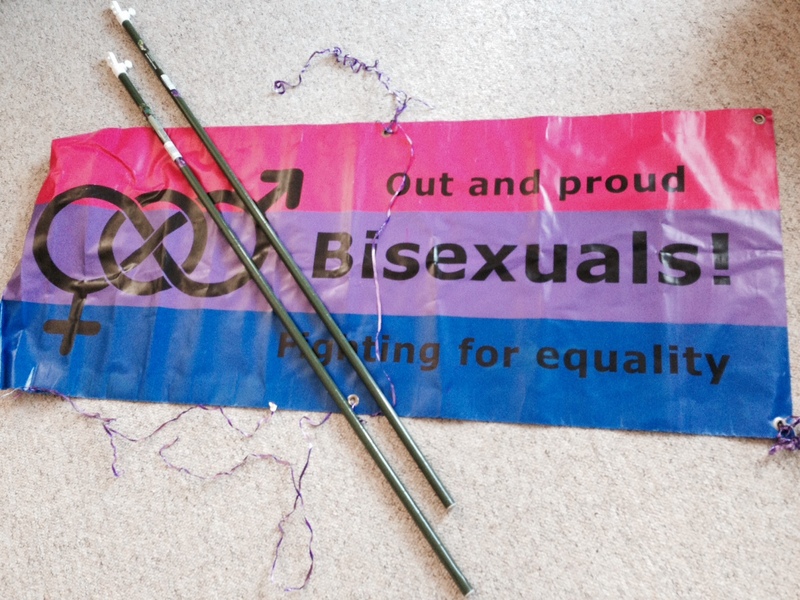 I also borrowed a banner from the group leader of BiPhoria for us to use during the Nottinghamshire Pride Parade. Excitement levels are rising. Less than two weeks to go!